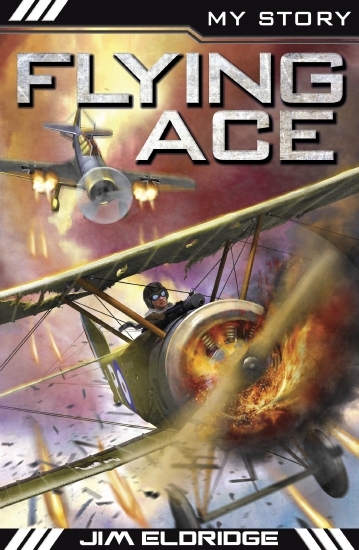 Flying Ace tells the story of Jack Fairfax, the 19-year-old son of Lord and Lady Fairfax. The Fairfaxes are steeped in the military tradition and don't approve of Jack's volunteering for the Royal Flying Corps. New-fangled flying machines are nothing to do with 'proper' warfare. Nevertheless, Jack takes to the skies in his Bleriot plane and faces the skills of the German ace pilots over the Somme. When his best friend is shot down by one of them, he vows to avenge him. Vividly imagined and historically accurate, readers are taken on a first-hand journey of danger and peril.